In 2014, Bella was running two companies: a six-figure pet-sitting company in Scottsdale, Arizona, and a coaching company. She was also recently married and discovered she’d gotten pregnant on her honeymoon. A few months later, she and her husband were given troubling news—the baby was unlikely to survive. At 28 weeks, Bella gave birth to one of the 50 smallest surviving female babies on the planet, weighing in at only 12 ounces. While science and doctors were telling the new parents there was no chance of survival or that the baby’s quality of life would be terrible, Bella spent 8–10 hours a day in the NICU for 6 months, fighting for her child’s life. She turned to Facebook groups to connect with other parents of micro-preemie babies, to find others who had gone through what she was experiencing, and to hear that hope was out there. 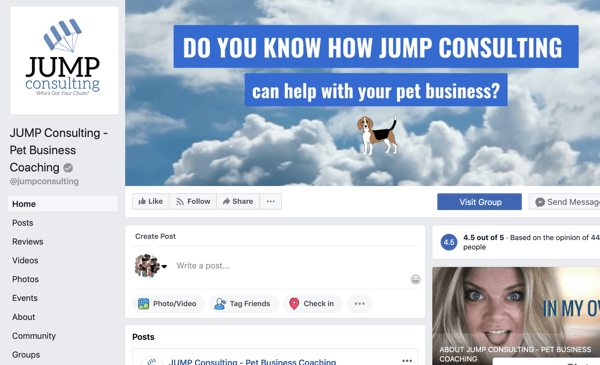 At the same time, Bella continued to run her two businesses, using Facebook Groups to stay connected with her clients and followers. While she initially turned to Facebook Groups during a time of crisis, she continues to use Groups for business. 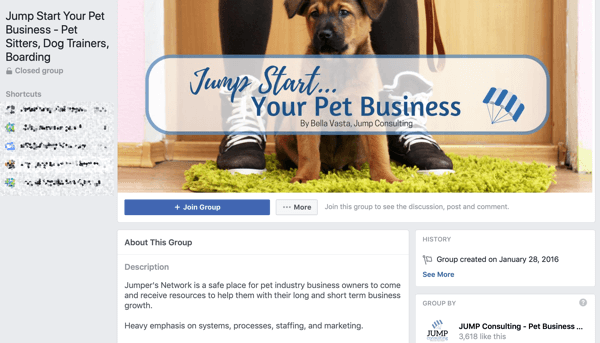 She finds professional support in being a member of groups such as Social Media Examiner’s Social Media Marketing Society, she’s an admin of two groups focused on the pet field, and has a subscription group for mastermind clients. She also helps other brands and entrepreneurs with their strategy on how to really nurture their biggest fans and followers in groups. Listen to the show to hear more about Bella’s daughter. On the first day of workshops at Social Media Marketing World 2017, Bella saw me in the hallway. We’d never met face-to-face so she introduced herself and asked for a selfie with me. I, in turn, recognized her because she’d been very active in the Social Media Marketing Society Facebook group. That immediate real-world connection with an online connection is a big advantage of engaging in Facebook groups, Bella says, and she’s quick to acknowledge that groups have enhanced her life both professionally and personally. Additionally, groups give you a way to bond with others over common themes in your personal or professional lives. You get to know like-minded people, and after seeing each other over an extended period of time, you build trust and develop meaningful relationships. To illustrate, through Facebook groups, Bella met and developed a close friendship with a number of people who don’t live near each other but regularly meet in person or via Facebook Live video. Bella is often asked to explain why someone with a page might also need a Facebook group and she’s developed a good analogy to help people understand. Bella equates a Facebook page to your front yard. People drive by and see you have a nice house in a pretty neighborhood. You may have some holiday decorations on display and everything is nicely manicured. People would never drive by your front yard and see you in your bathing suit basking in the sun by your pool. That’s something that happens in the back yard. Facebook groups are more akin to your back yard where you hang out with people you want to spend time with—but it’s invitation-only. If someone has been invited to come from the front of your house in through the back gate, it’s more intimate and involves camaraderie. Because you’re the host in your back yard, you don’t invite people over and then go in the house and take a nap. You talk to and introduce people to each other. You do your best to help people talk to you and each other. Think of it as a barbecue. There’s a group of people standing around the grill, some are playing corn hole over on the side, some are swimming in the pool, and you’re there to make sure that the drinks are flowing, the food is coming, there’s some sort of attraction, and people are meeting each other and having a fun time. Because you’re the host. Finally, if you’re a solar panel salesperson, you would never bypass the front door to show up in someone’s back yard and start asking people at the barbeque if they want solar panels. That’s not the way businesses should show up in Facebook groups. Listen to the show to hear more about Bella’s back yard solar panel sales analogy. We live in a society where people want to know that their contribution is making a difference. Badges—a new feature that admins can turn on or off—are a way to help group members feel special. When activated, unique badges appear next to someone’s name to recognize them as an admin, a new member, a founding member, celebrating membership anniversary, a conversation starter, a conversation booster, a storyteller, a rising star, and more. The badges are available to groups with 50+ members. They’re visible to everyone in the group, and once assigned, stay visible for about a month. Bella believes badges work better for smaller groups but can work in a bigger group if your group strategy aligns with their use. 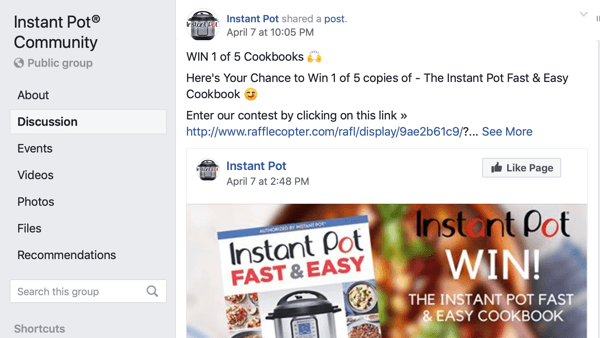 During the recent Facebook Community Summit, Facebook announced that the ability to format H2 headers as well as bold, italic, and bulleted text in Facebook Group posts is coming soon. The formatting will help you differentiate and accentuate the message that you’re trying to get across in a group post and pull attention in both the group feed and members’ news feeds, which draws more attention to your group. Currently, 200M people are members of groups and Facebook has stated they’re aiming to raise that number to 1B. Bella thinks this formatting feature rollout is evidence the platform is moving toward that goal quickly. When you start a Facebook group, you choose a group type. If you select a Social Learning group type, you’ll have access to Units, a feature that addresses a major pain point for group admins. In the past, when an admin published a post to a group, that post began to decay and was difficult for admins and members to find (and therefore refer to) again. Now, admins can pin something to a specific Unit so it’s easy to find. To visualize this, Bella’s mastermind dives deep into a different topic each month. Last month it was video, and this month it’s sales. If someone has a question about video, they can browse the units and quickly find what they want, rather than searching through the group’s post feed. Units let you categorize important information in your group. For instance, you can organize groups of information into individual chapters—by topic—or into a single listing similar to a table of contents; videos, text posts or other resource materials can all be pinned to a unit. Bella says Molly Mahoney, the Prepared Performer, uses Units in a really unique way. She pins a series of pictures together in one unit and then puts a link to a video in each one. Basically, each unit is like a book with chapters. 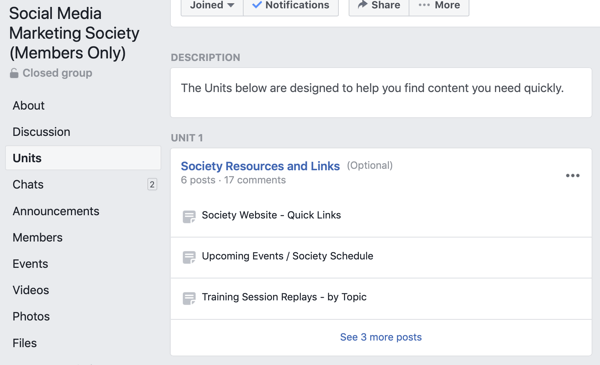 If you want to use Units but didn’t choose the Social Learning group type, you can change your group type to get access to this feature. 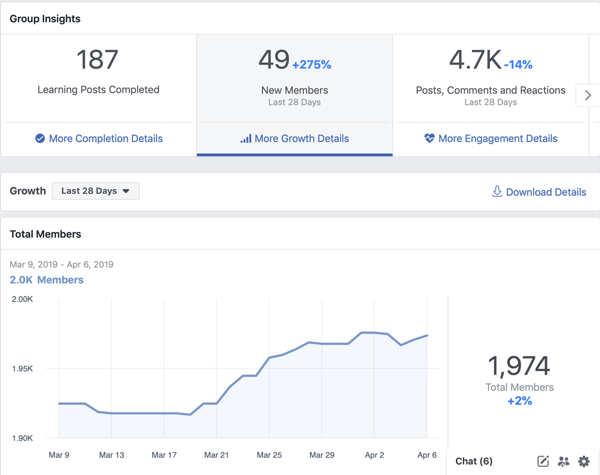 If you’re wondering what type of strategy you should adopt for your Facebook group, check out the Insights. This feature will show you who the new members are, as well as other growth details. You can see who’s waiting to join your group and whose membership you declined without scrolling through the individual requests. You can also see engagement details, post performance metrics based on comments or reactions, and your top 10 contributors. Use what you find here to call out and reward key members of your group, maybe with a $5 gift card. Individual post reach still isn’t shown in analytics but is shown on the actual post. Additionally, the analytics will reveal the days and times your members are most active so you can predict when you might need management support and when you should be posting or go live. When someone violates a rule in a group, you as an admin can be put in an uncomfortable situation. Do you simply delete their post, do you message the member directly, or do you simply ban them without explanation? You now have the ability to send a message that alerts the member to the rule that was violated, and if you choose, attach a personal message to clarify further. You can also mute the member for 1–7 days (so they can see posts but can’t comment) rather than immediately banning them from the group with no explanation. Until now, the activity feed for Groups was a list of events that could be scrolled but not searched. Today, the group activity feed can be filtered to show memberships, removals, and other types of admin activity. The activity feed can also be searched by date and by specific members. Facebook has been alluding to a Subscriptions feature for a while, and last summer, they actually started testing it. Bella doesn’t have access to this feature and isn’t certain when it will roll out but she’s confident it will show up. This feature will allow group owners to collect admission when they admit or approve a new member. This will allow people to start and manage membership organizations completely within Facebook, significantly reducing the barriers to creating an online membership site. Listen to the show to hear Bella and me discuss recent changes to Facebook Group invitations. When I ask about the announcement that pages can now post and comment inside groups, Bella says she both loves and hates this feature. As the owner of a public figure Facebook page, she thinks it’s a great idea. Rather than giving her team access to her personal profile—which Facebook doesn’t really want—she gives them admin access to her public figure page so they can post pre-approved content to her mastermind group on her behalf. A consumer, however, doesn’t typically want to interact with a logo. They want to interact with a person—someone designated as a community manager or an admin, which is another reason badges are helpful. 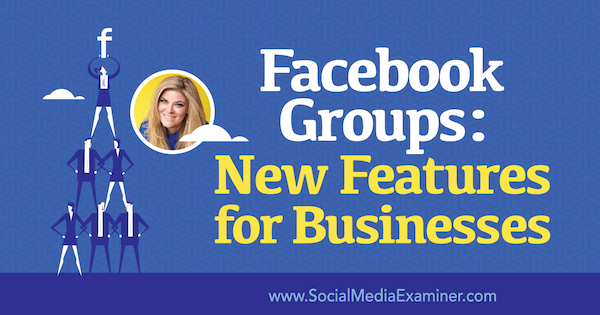 The feature can be turned on and off, and Bella turned the feature off because she wants people with profiles in her group, not business pages. That being said, if you are an admin of a group and you want to allow different brands to come in and represent the brand via their page, you can do that. 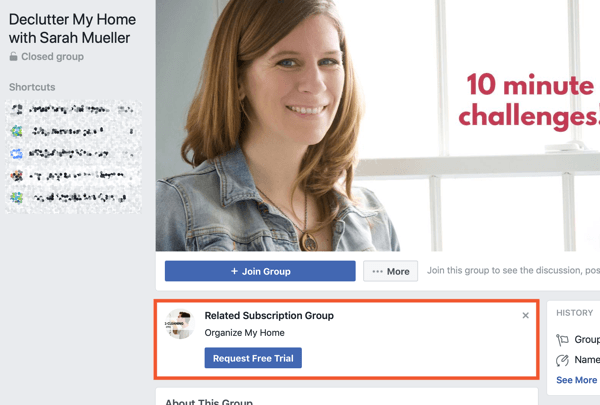 To see if you can join a Group as your page, simply sign into Facebook as your page, go to the group, and press join—meaning you request to be admitted to the group as your page. If the group admin has this feature turned on, your page will be admitted as a member. Another possible application for this feature is to use a page to post news or fresh content in the brand’s group, but designate a person (the community manager or CEO) to engage on behalf of the brand, to take care of the people in the back yard. 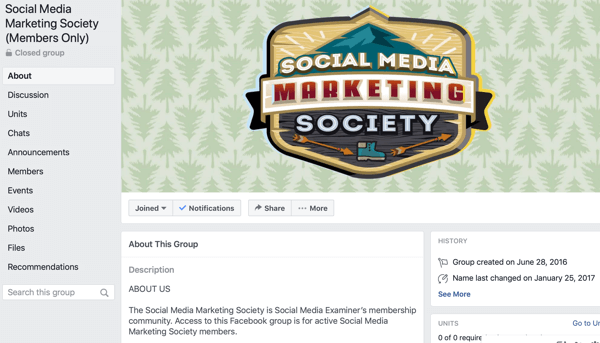 For example, Social Media Examiner could use its parent page to post in the Social Media Marketing World Facebook group and members would know the information—such as a networking party location announcement—is from the official brand. To follow up with comments, however, we would have people such as Ali, Erik, or Jeff engage on behalf of the brand as humans. Listen to the show to hear our thoughts on the rumored addition of ads in Facebook Groups. 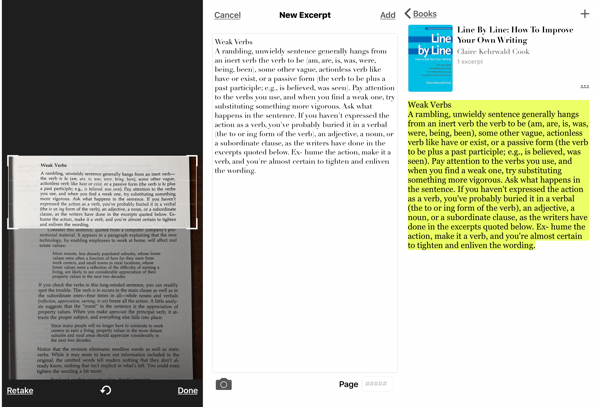 Excerpt – The Book Highlighter is a really cool, free iOS tool that lets you screenshot passages from physical books, store them digitally in your phone, and then share the passages on social or pull them up when you’re writing. While you’re reading, take a shot of the book cover and save it to Excerpt to create a folder to hold all of the passages you highlight. When you find a passage you want to save, screenshot it and then drop that image into the book’s category folder. Once you screenshot the page, you can then crop it to the exact paragraph or sentence you want to highlight, and the app converts it to text on your phone. Then, when you’re ready to parse out those “words of other people’s wisdom,” simply tap to share them to any social network you choose, email, or a doc you’re composing. You can find Excerpt – The Book Highlighter in the iOS App Store. Listen to the show to hear more about Excerpt – The Book Highlighter. Learn more about Bella on her website. Check out Bella’s consulting business. Read The Four Types of Dogs Every Business Needs. Listen to the Bella in Your Business podcast. Sign up to receive the 23 Ways to Post Engaging Content to Your Group from Bella via Facebook Messenger. 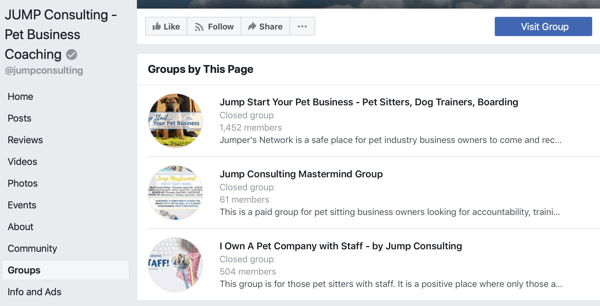 Learn more about Facebook Group Badges, post formatting, Units, Insights, rule violation notifications, and activity log updates. Watch for Facebook Subscription groups. Download Excerpt – The Book Highlighter app today. What do you think? 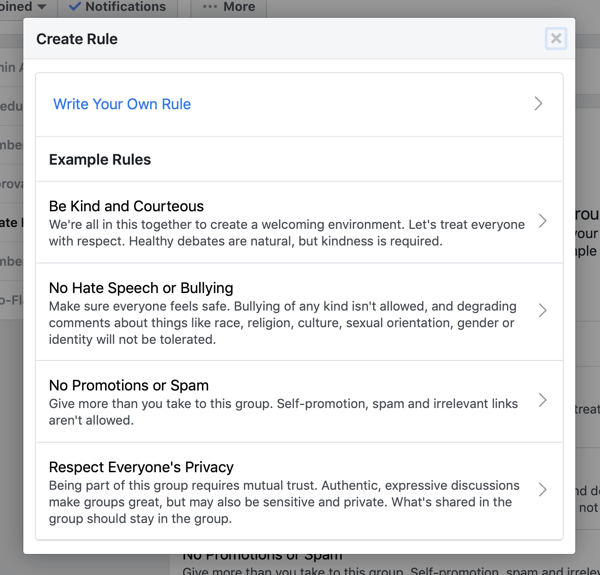 What are your thoughts on the new features for Facebook Groups? Please share your comments below.